Born and raised in Gladeville TN, Corey graduated from Wilson Central High School. After graduation, he entered the Heavy Equipment Service Technology program at South Georgia Technical College in Americus GA, as part of Caterpillar’s ThinkBig service technician training program. The program at SGTC is sponsored by Thompson Machinery and five other Cat dealers in the Southeast. After graduating from the program, with an Associates Degree in Applied Science-Diesel Technology, Corey joined Thompson Machinery in 2014, working in the spec shop at our LaVergne TN location. 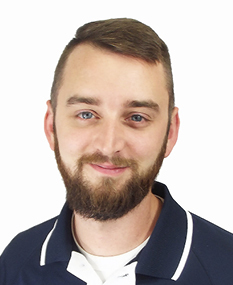 He moved into a position as an inside sales representative in 2016, then served as a Compact Equipment Specialist from mid-2017 until joining the rental operation. Corey and wife Chelsea live in Laguardo TN.